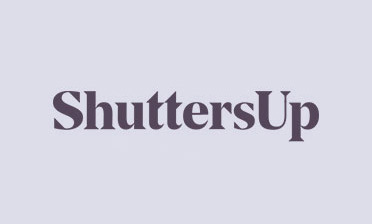 Michael was in the London borough of Barnet, North London to install the shutters we had created for our client Anthony. 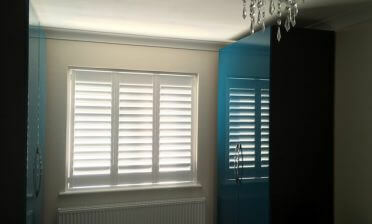 The shutters were to be placed on two forward facing bay windows on the ground and first floor. The ground floor was the living room area, with the first floor currently being used as a home office. Due to the bay windows facing out onto the street, privacy was key here, as well as maximising the control of light. 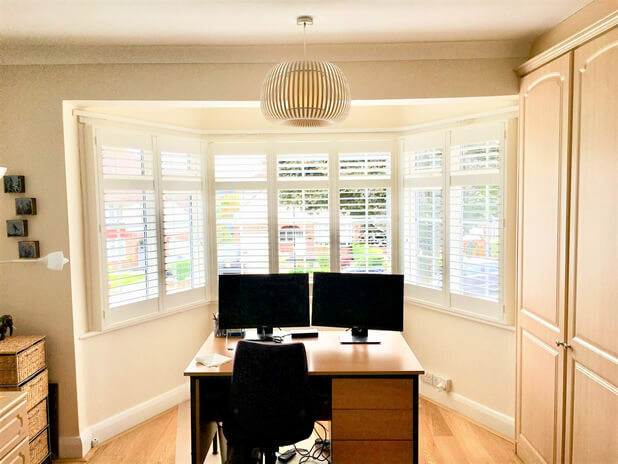 Bay windows are one of the best windows to have shutters installed to, as they allow natural light in from all angles so all or individual panels can be adjusted throughout the day depending on the amount of light the client needs. Having one of the rooms as a home office also means that lighting needs to be just right to increase productivity and comfort when working. 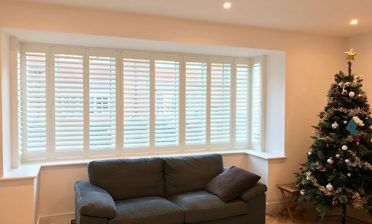 We created the shutters from our MDF Antigua range which allows for a great looking solution at a lower price point than our hardwood shutters. We used full height style shutters with mid rails roughly two thirds of the way up the panels to line up with the windows being. If you look closely you will see that the window lining is slightly different on each install, which meant we slightly adjusted the mid rail height in our bespoke design on each set to match. 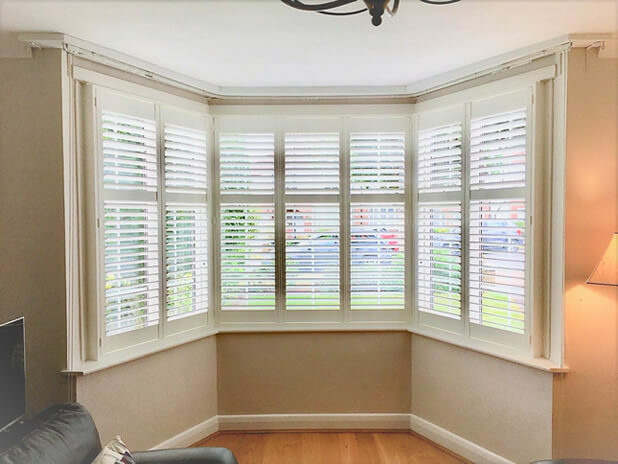 The shutters feature plain stiles, deep plain L frames, 63mm louvres with silent tilt rod system and were finished in silk white with matching white hinges. Anthony was thoroughly impressed with the job and we feel it has transformed not only the look of the rooms but their usability throughout the day and night!